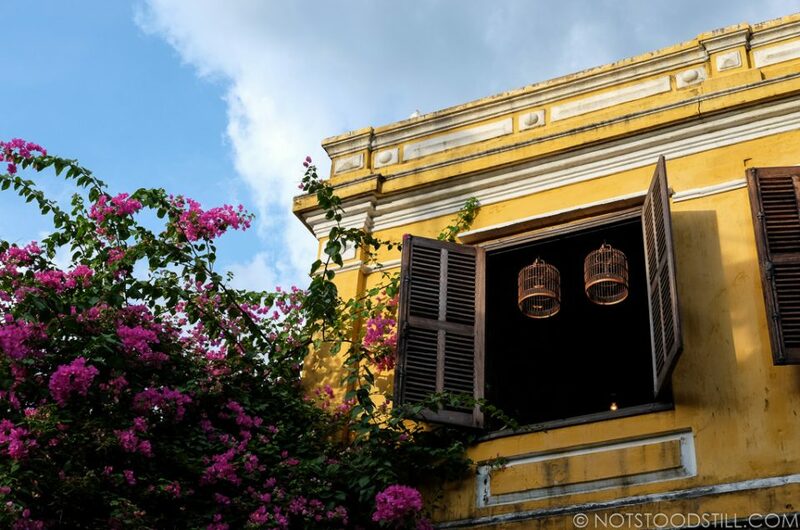 A once thriving trading port in South East Asia between the 15th and 19th centuries, with a mixture of well preserved European, Japanese, Chinese and Vietnamese architecture – Hoi An has a unique heritage and an atmospheric splendour that draws many visitors. It’s gentle river setting combined with its narrow streets in the Ancient Town are lined with small shops, tailors, boutique style hotels, cafes and resturants. It is a place best to be savoured and not rushed, we spent a good ten days here (the longest time we have stayed in one place in Vietnam). A decade ago, Phong Nha was a sleepy riverside village and easily dismissed off most travellers’ itinerary. Beneath the surrounding mountains and the dense green jungle lies some of the world’s largest caves; discovered in 2009, Hang Son Doong is currently the biggest cave system ever found. It is believed there still many more caves yet to be explored, an uncharted underworld waiting for the next speleologist to unearth. 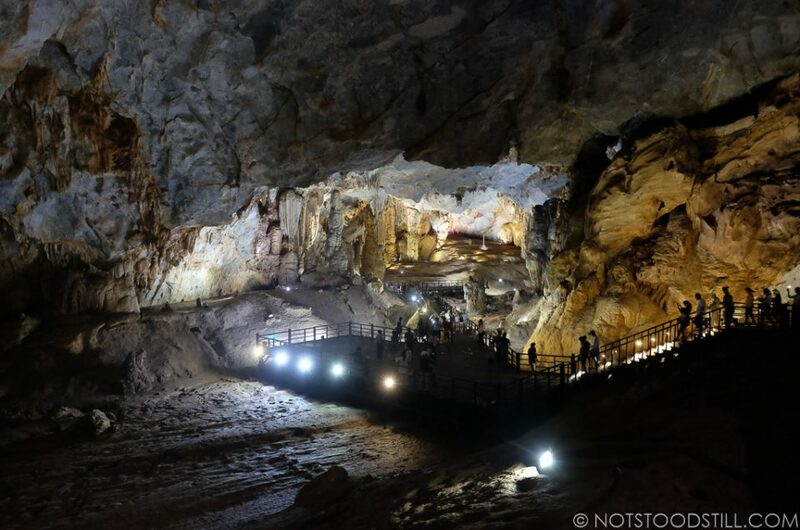 Phong Nha-Ke Bang National Park (where these natural wonders sit) is now a UNESCO World Heritage Site and the village town is changing fast to accommodate the increase of visitors. 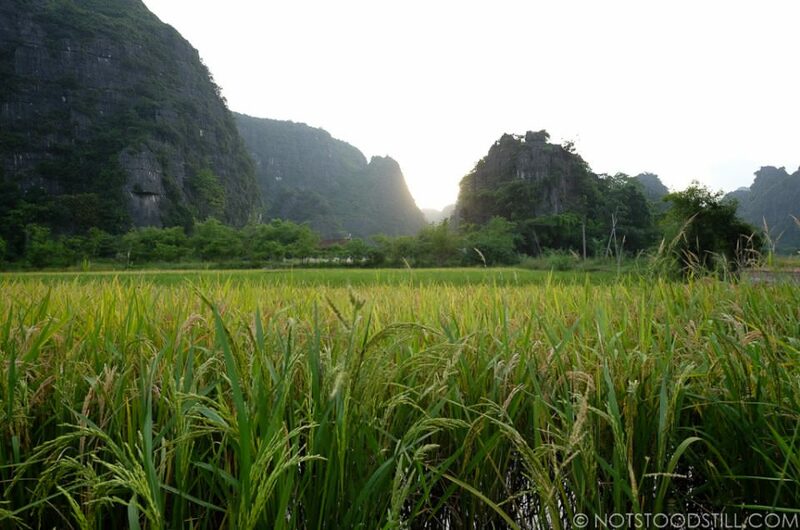 Known as the “Halong Bay on land”, Ninh Binh features impressive limestone karsts combined with picturesque rice paddies and villages that can be easily reached by bicycle or motorcycle. 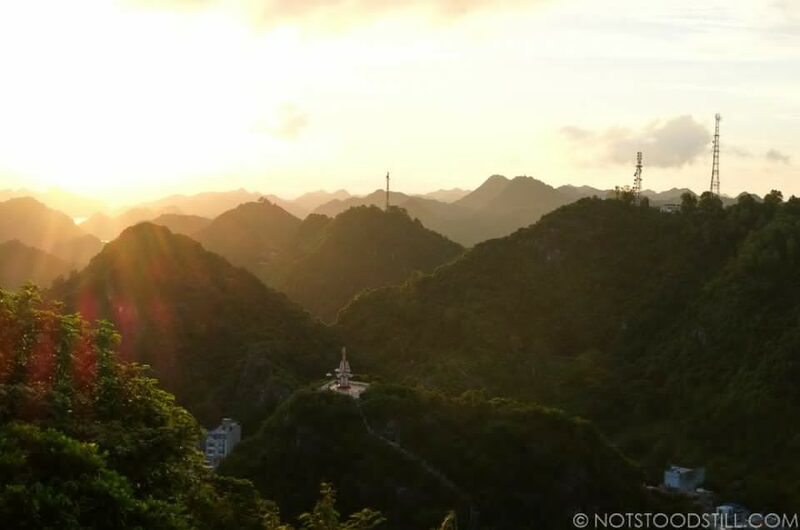 Located 60 miles south of Hanoi, the sleepy mountain backdrop was used to film a number of films including the recent King Kong movie (which drew my attention to come here). The largest island in the Halong region, Cat Ba was our next stop after spending a couple days exploring the impressive bays. Half of the island is protected National Park, providing hiking opportunities and a stunning karst coastline to the south. It was a strategic military outpost during the Vietnam War, with many of it’s wartime relics still intact and interesting to see. The lively Cat Ba Town is the main tourist centre, lined with hotels and resturants along the busy sea front promenade. 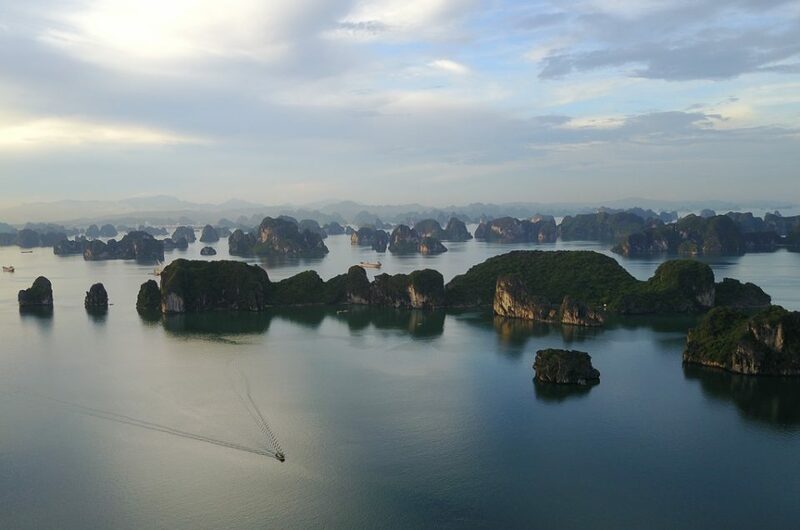 A hundred miles east of Hanoi is Halong Bay; one of the most iconic collection of limestone karsts spread across the emerald waters in the north seas of Vietnam. Further east of Halong lies an untouched bay, Bai Tu Long which is just as scenic yet quieter and more off the beaten track. 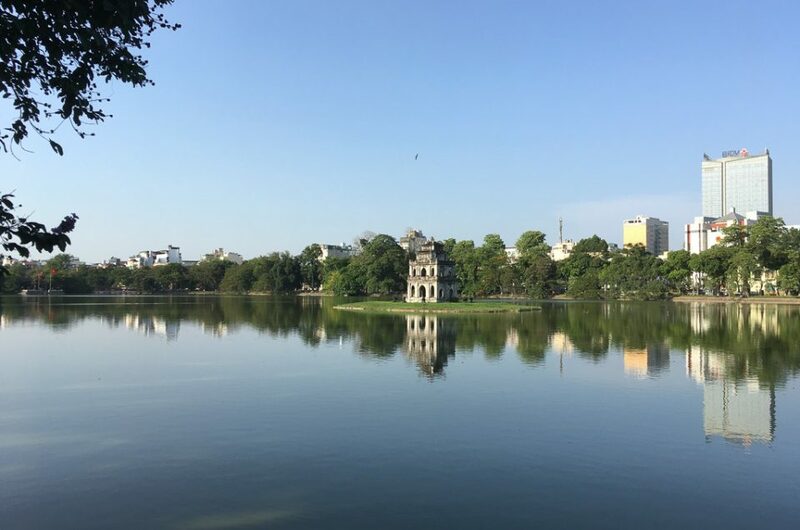 On the banks of the Red River lies Hanoi, the capital and second largest city of Vietnam. After years of Chinese and French occupation and war, the city is incredibly resilient, with it’s blend of cultures and many of the old colonial buildings still stand particularly around the Old and French Quarters.